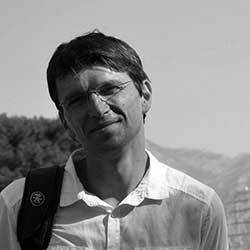 Pavel Skopal is Assistant Professor at the Department of Film Studies and Audiovisual Culture, Masaryk University, Brno, Czech Republic. Between 2010 and 2012 he stayed at the Hochschule für Film und Fernsehen “Konrad Wolf” in Potsdam, Germany (a research on post-WWII East German cinema industry and cinema culture supported by Humboldt Foundation). His recent research projects have been focused on local cinema culture (“History of distribution, exhibition and reception in Brno, 1945-70”, and “Local cinema history in Leipzig, 1945-1970”), culture transfer, or cinema co-productions. Recently he has published a book based on a comparative research on cinema distribution and exhibition in Czechoslovakia, Poland and GDR in the period 1945-1970 (The Cinema culture of the Northern Triangle. Movies, Cinemas, and Cinema-goers in the Czech Lands, East Germany and Poland, 1945-1970. Brno: Host, 2014), and co-edited a book comparing East German and Czech film industry in the 1950s: In the Service of the State (co-editor Lars Karl, London-New York: Berghahn Books, will be published in 2015). Skopal, P. (2014): Filmová kultura severního trojúhelníku. Filmy, kina a diváci českých zemí, NDR a Polska 1945-1970. Brno: Host. Skopal, P., ed. (2012): Naplánovaná kinematografie. Český filmový průmysl 1945 až 1960. Praha: Academia. Skopal, P., ed. (2005): Kinematografie a město, Studie z dějin lokální filmové kultury. Brno: Masarykova univerzita. Reisende in Sachen Genre - von Barrandov nach Babelsberg und zurück. Zur bedeutung von tschechischen Regisseuren für die Genrefilmproduktion der DEFA in den 1960er und 1970er Jahren. In Michael Wedel, Barton Byg, Andy Räder, Skyler Arndt-Bryggs, Evan Torner (eds. ), DEFA international: Grenzüberschreitende Filmbeziehungen vor und nach dem Mauerbau. Wiesbaden: Springer VS 2013, pp. 249-266. The (Restored) Practice of DEFA Co-productions with the “Normalized” Czechoslovak Film Studio in the 1970s. Images. The International Journal of European Film, Performing Arts and Audiovisual Communication, 2013, Vol. 22/XIII, Winter, pp. 189-199. “It is not enough we have lost the war – now we have to watch it!” Cinemagoers’ attitudes in the Soviet occupation zone of Germany (a case study from Leipzig). Participations. Journal of Audience and Reception Studies, 2011, Vol. 8, Issue 2, pp. 497-521. Do you deserve to see the DVD trailer? Fans, franchise familiars, and the rhetoric of the Star Wars DVD trailers. In: Andrzej Gwóźdź (ed. ), Film als Baustelle. Das Kino und seine Paratexte. Marburg: Schüren, 2009. pp. 147-162. Marburger Schriften zur Medienforschung 10. "The Adventure Continues on DVD" - Franchise Movies As Home Video. Convergence. The Journal of Research into New Media Technology. Special Issue "Consumption and Use of DVDs", 2007, Vol. 13, Issue 2, pp. 185-198. DVD marketing in the U.S. of Working Titles British romantic comedies: Framing reception and strategies of cultural appropriation. Jump Cut, Issue 48, Winter 2006.